Now that Thanksgiving is over, it’s officially the start of Christmas festivities! I read My New Crush Gave to Me last year and I adored everything about it! It’s the perfect holiday rom-com filled with all the inter vibes. I loved reading about all of the holiday activities from decorating Christmas trees to singing carols to baking delicious treats! Want to find out more? Check out my review! But Charlie has a plan: rig the paper’s Secret Santa and win his heart with the perfect gift. The catch? She has no idea what to get him. Enter J.D. Ortiz–Teo’s cousin, and possibly the most annoying person on the planet. He’s easy going, laid back, disorganized, and spontaneous—the exact opposite of Charlie (and Teo). But he knows what Teo wants, so she’s stuck with him. Yet, the more time Charlie spends with J.D., the more she starts to wonder: Does she really know what, or rather who, she wants for Christmas? 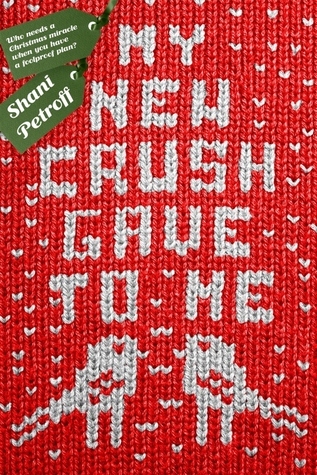 Shani Petroff’s newest young adult comedy of errors, My New Crush Gave to Me, is the perfect read for those searching for some love and laughter along with their holiday spirit.